Port St. Lucie attracts people due to its low crime rates, diverse housing availability and open spaces. 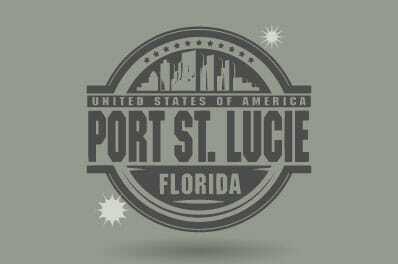 Port St. Lucie has a population of 167,000 making it Florida’s 9th largest city by population. It is considered a new hub for biotech research and the life sciences. Port St. Lucie is situated along the beautiful St. Lucie River, features top-notch golf courses, and is known for having some of the best parks in southeast Florida. All Points Mobile Shredding has served Port St. Lucie since 1994. We pride ourselves on providing outstanding customer service, competitive pricing, and full-service shredding solutions to businesses and residents of Port St. Lucie. With All Points Mobile Shredding, your employees can always discard sensitive documents, hard drives and media in a safe and secure manner. To find out more, please contact us by phone or complete the form on this page. All Points Mobile Shredding is NAID AAA Certified. © 2019 All Points Mobile Shredding. All Rights Reserved.